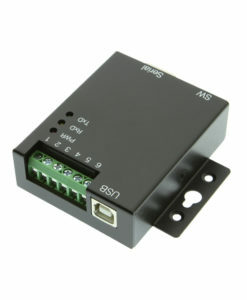 View cart “RS232 DB9 to Terminal Block 5 Pin Passive Micro Adapter” has been added to your cart. 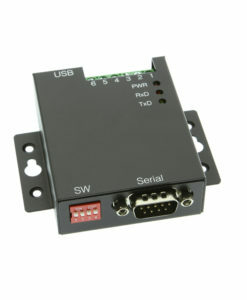 Adds 4 RS-232 serial ports via an available USB port, the serial adapter control box uses FTDI and is automatically detected and installed with full RS-232 modem control signals and hardware/software flow control. Allow COM port expansion very quickly, can change port assignments. Connects instantly to modems, pocket PC's, serial printers, and more. 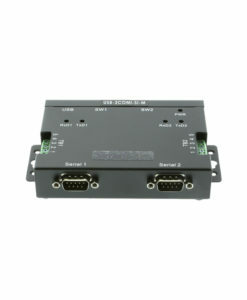 The USB-4COM USB Quad Serial Adapter (Control Box) is designed to make serial port expansion quick and simple. Connecting to a USB port on your computer or USB hub, the USB Quad Serial Adapter instantly adds four RS-232 serial communication ports to your system. By taking advantage of the USB bus, the 4-Port RS-232 USB to Serial adapter makes it easier than ever to add serial ports and devices to your system with easy plug-and-play and hot plug features. Plugging the USB 4-Port Serial Adapter to the USB port, the adapter is automatically detected and installed. There are no IRQ & COM port conflicts, since the ports do not require any additional IRQ, DMA, memory as resources on the system. 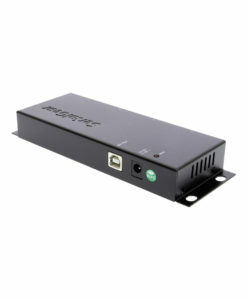 The USB 4-Port Serial Adapter is self-powered and does not require any external power adapters. 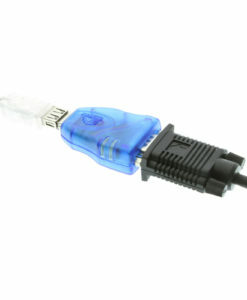 The 4-Port RS-232 USB to Serial Adapter provides instant connectivity with modems, ISDN TAs, PDAs, handheld & pocket PC’s, digital cameras, POS, serial printers. It is suitable for remote access, retail and industrial applications, data collection and other applications requiring high speed RS-232 serial communication ports. The 4-Port RS-232 USB to Serial Adapter has certain accessories that work with it. These accessories are what you can order if needed.